Last week HEXUS reported that there was a new driver coming from Nvidia that would create a new echelon of gaming monitors that work with Nvidia GPUs and enable VRR (variable refresh rate) technology. 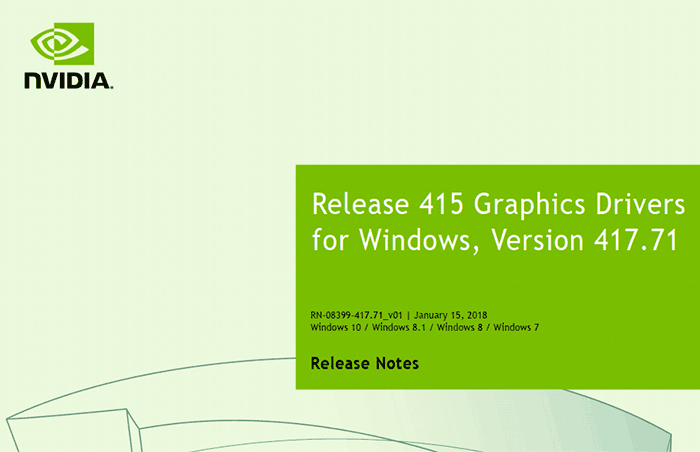 That new GeForce driver - version 417.71 is now available (download links are below), as are the release notes (PDF). GeForce v417.71 is important driver as it the first to expand VRR capabilities for Nvidia GPU users outside of monitors that contain G-Sync hardware. 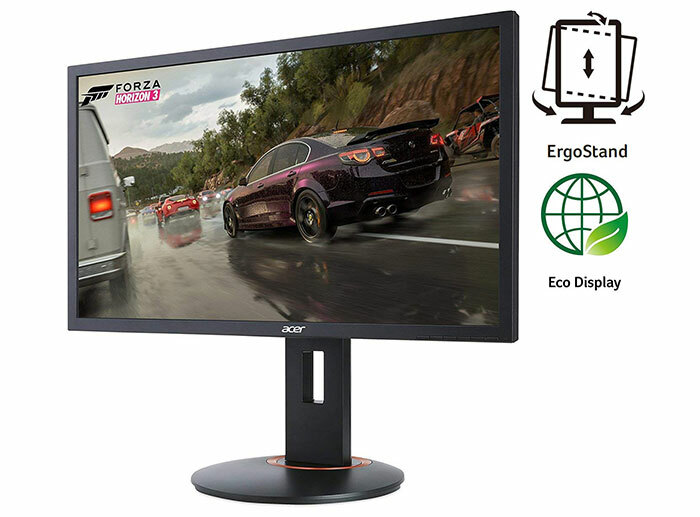 The new 'G-Sync Compatible' logo monitors must be capable of VRR - AKA FreeSync or Adaptive Sync, and to qualify for the logo they have had to pass a multitude of quality tests, said Nvidia. To fit them in to the G-Sync family, Nvidia created some tiers in its G-Sync experiences as in the chart above. At the time of writing there are only 12 monitors that have passed G-Sync Compatible certification. However users of any VRR monitors will, with driver v417.71, be able to turn on VRR and test it out if they wish. A list of compatible monitors is maintained by Nvidia here. Nvidia G-Sync can now be used to activate the VRR features of G-Sync Compatible displays. G-Sync Compatible displays have been validated by Nvidia to not show pulsing, flickering, or other artefacts during VRR gaming. Nvidia says that those hoping to use VRR features on G-Sync Compatible displays must have a Pascal or later gen GPU, and only single monitor VRR operation is currently supported. The new GeForce v417.71 driver is also the launch driver for the RTX 2060 graphics cards with official support for this GPU enabled. As usual with these graphics driver releases from Nvidia, and AMD, there are a number of fixed issues reported, plus known issues remaining and being worked upon. I notice that there are quite a lot of particularly annoying bugs quashed this time around - those that cause black screens and system lockups. With regard to remaining issues, there are still multiple known issues that cause G-Sync misbehaviour, so if your first attempt with using an Adaptive Sync monitor isn't perfect with this driver there is a possibility it is a driver issue. Download the Nvidia GeForce WHQL driver v417.71 for Windows 10 64-bit desktops, or for Windows 10 64-bit laptops. So, Nvidia are only validating a limited number of monitor but VRR should theoretically work to some degree with any variable refresh rate/Freesync monitor, right? And you need a Pascal or newer Nvidia GPU. Nvidia validated around 400 displays, 18 only passed the full test, displays failed full tests might work but not flawlessly, as an example, you might get some flicker or constant ones. for the displays that they didnt test, it might work but not guaranteed. It's complicated, Nvidia are validating monitors for what they call G-Sync “compatible”. I can't take credit for the following as I've taken it from a post on reddit, having said that there's basically 5 types of VRR, there's DisplayPort with Adaptive-Sync that AFAIK doesn't define any/many specs, there's FreeSync that, from what i understand, is DisplayPort with Adaptive-Sync modified to work over HDMI, there's FreeSync 2 that defines a range of 72-144hz, there's G-Sync “Compatibility” that AFAIK is similar to those previously mentioned but with a 60-144hz range, and then there's G-Sync that uses a module within the monitor so it can support a range of 30-144hz. I think that's why Nvidia are finding so many monitors are failing their G-Sync “Compatibility” testing, they've introduced a requirement where there wasn't one much like AMD have done with FreeSync 2 but they've taken the minimum down by 12Hz. So my 1070 dipping below 60fps at 2k on an hp omen 32 might hopefully get some tearing support without v-sync lag.